An international style course using all contacts and weaves will be set up. Ring size 80'x140'. Same footing as USDAA NE Regionals! $25 / three 5-minute turns to use as you like. Train startlines, contact / weaves, run the course, whatever! Train on the same turf as NE Regionals, and don't forget our UKI trial following on Sat/Sun! Limit 10 participants. Registration Required. Private lessons available during your turns for an additional fee. 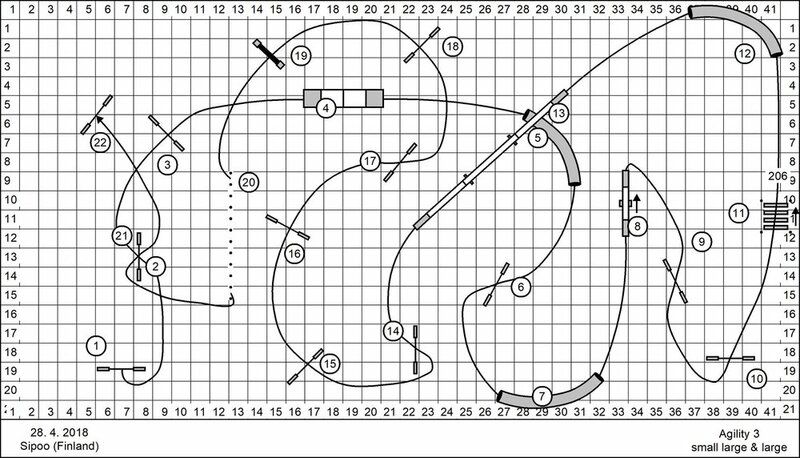 Course Design by Petr Pupik. Used with permission. FULL! Email to be waitlisted.